OFFICIAL Petition to induct KISS, Billy Idol, and Billy Squier Manager into Rock & Roll Hall of Fame. Mr. Aucoin not only has the distinctive notoriety of grooming and introducing not one, but three legendary, multi-million selling rock and roll acts to the world - KISS, Billy Idol, and Billy Squier, but he is also credited for erecting one of the first music merchandising empires, an empire that has reigned from the 1970’s to the present day. By trademarking the iconic faces of the original four members of KISS, Aucoin shifted the rock paradigm from a spectator sport, to a collectible zeitgeist that propelled a band from Queens into a global brand with an estimated worth in the billions of dollars. KISS laid the groundwork for hundreds of rock acts who cite the group as an influence or inspiration of what a rock act should be. The very existence and ongoing popularity of the group 40 years after its inception is a testament to Bill’s astute foresight. A force so unshakable, he would infamously bet his American Express card to finance the live tour of an act that most in the industry at the time were trying to ignore. In the process, his determination served to engineer one of the most dynamic live shows of the era by enhancing the concert experience in ways that would go on to transcend the rock genre. If you grew up in the 1980’s, it’s almost impossible to separate this era from the global phenomenon and the anti-hero viscosity that arose from the ashes of the punk-rock movement, Billy Idol. Once again, dismissed by the industry as an outcast, and toxic to his own record label, Aucoin swam upstream and immortalized an unlikely spike-haired rebel. Bill’s keen instinct to pair the sneering, fist-twirler with a virtuoso guitar muse by the name of Steve Stevens proved to be a winning relationship that has defied the test of time, spawned millions of record sales, and continues to captivate audiences. There is no question that Billy Squier was one of the godfathers of the early days of MTV. While less flashy than Aucoin’s more flamboyant rock heroes, Squier’s immaculate song-crafting ability would make him the eternal darling of rock radio. Aucoin fell for the Boston native’s unique voice and writing prowess while fronting the band, Piper, whose first record was touted by Circus Magazine as “the greatest debut album ever produced by a U.S. rock band.” This put Squier front and center in the eyes of the world and made him a valuable commodity as a solo performer whose work would become a mainstay in classic rock radio for decades to come. 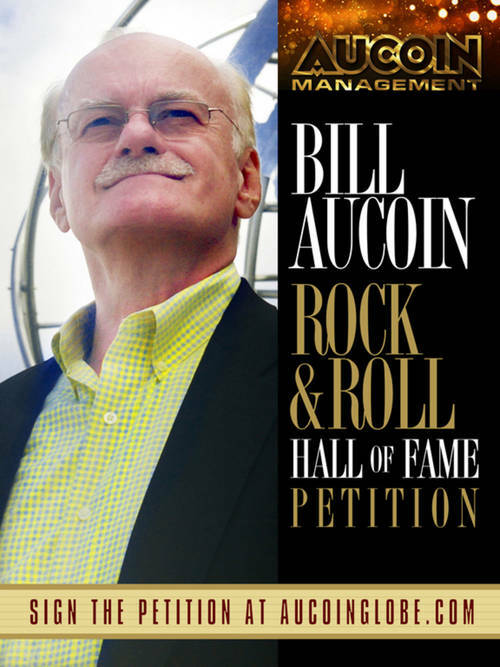 Like Hall of Fame inductees, Brian Epstein and Andrew Loog Oldham before him, Bill Aucoin’s hand helped mold the direction of not only rock music, but an entire industry and culture. His love of the music, passion for the craft, and flare for the spectacle is fingerprinted in radio, TV and the live concert stage today and for times to come. And so at last, the time has come to induct Bill Aucoin into the Rock & Roll Hall of Fame. The petition to induct Bill Aucoin into the Rock & Roll Hall of Fame is now live. Our goal is to reach 10,000 signatures.  Let the board of this institution know that Mr. Aucoin had a hand in shaping the history of the music you love by adding your name to the list of rock fans around the globe.